Home Business4Law Law Firm Marketing 101 Why should people do business with your law firm? To the man on the street, there does not seem to be that much that differentiates one law firm from another. 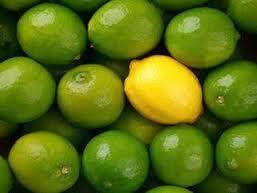 Your goal in marketing your law firm, should be about finding ways to differentiate your law firm from the rest. Sit your senior staff and partners around a table and ask them for your law firm’s unique benefits and reasons why people and business should do business with your law firm and not any other firm. I bet you that you will be stuck after 2 or 3 ideas before the popular “We are nice people” pops out. The above exercise will flush out two things, firstly what your senior staff/partners really think of your law firm and secondly it will offer some key points on what you should be highlighting in your marketing efforts. Why would people choose you? I doubt you are the cheapest in the area – the fact that you may discount your fees does not matter as it does not say it on a flashing neon sign outside your building – so I think it is seldom on price. A well-kept office/office building makes an impression on people. Corporate identity is important, and I know you are not a corporate business, but your stationary, signage, notices and promotional items should all have the same logos with the same look and feel. The logo should be fresh and clean with vibrant colours. Remember if you want people to notice a letter you send your client and it is lying on a desk, your letterhead will have to stand out for people to notice. Electronic communications really form part of the corporate identity, but make sure your emails look and feel the same, no matter who they come from in the firm. Ensure that your website is informative, neat and concise. Friendly and helpful staff go a long way in helping people remember your firm, they come into your offices, they interact with your staff a lot, it offers plenty of opportunity for your staff to make a lasting impression. Get involved with the community in your area or the industry you are focusing on – networking groups, community organisations, school functions, etc. Write an article for the community newspaper. Sponsor a sport or hobby, but make sure you are there to cement the effect you have created. Refer people you know in your network of people, the more you promote their business the more they will notice you and your firm. Keep your word, if you say you will call them before close of business make sure you do just that. Have their best interests at heart, look for the best possible way forward for your client. Be transparent, keep them in the loop and always ensure they know the billing and payment procedures. Always be thankful for the business people send you. Make sure you call and thank them for the business after everything has been settled. When you get a new client, make sure you ask why you won the “Why me” challenge, so that you can understand what works and what not in your marketing strategies. Find your differentiators and make sure your prospects get to hear about them.